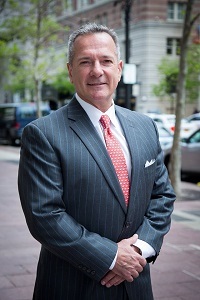 Mr. Dan Palmier is President & CEO and founder of UC Funds a specialty finance lender, founded in 2010 providing a full suite of finance products including; bridge, mezzanine, equity and permanent loan solutions. UC Funds has originated well over $ 1 Billion since inception and projects a Billion a year in production starting in 2016. The Company, a national provider of creative capital solutions, is regarded as the most sophisticated financial ally in the commercial finance market because of its continued track record of delivering financial solutions; creativity, reliability and quickly. A 50 professional, private finance company, has a diversified and growing investor base that includes several Forbes 50 family offices, Sovereign wealth funds . Additionally, as a testimony to the goodwill of its brand, many of the repeat users of the companies capital have recently invested in UC Funds.